Why learn Spanish in Mexico? Why learn Spanish in Cuernavaca? Why learn Spanish at ENCUENTROS? Spanish in Mexico is intricately linked to the people, the customs, the geography, and the history of our country. At ENCUENTROS, an important aspect of the total immersion experience is to introduce our students to the multiple historical and culture aspects of Mexico. The city of Cuernavaca becomes the classroom. Learning a language is much more than memorizing grammar rules. It is using the language in a diverse set of circumstances. It is finding out about the people, the traditions, and the history of the land where it is spoken. Unique bi-weekly “Visitas” to places in town offer on-site vocabulary building and conversational practice with locals. Students experience the language, the history, and the culture first hand. Charlas (talks) on Mexican history, geography, traditions, and popular culture make your stay more significant. Complementary afternoon activities such as Mexican cooking and Mexican movies are included in the tuition and provide students with more information about life and culture in Mexico. FUN!!! We recommend crafts classes given in town by Cuernavaca residents and a salsa dancing class at the school on Fridays – more opportunities to use Spanish, learn about Mexico and have a great time. Optional weekend excursions round out the program: recreational and educational visits to Taxco, Teotihuacan, Mexico City, and Puebla among others. These are some of glimpses of Mexican culture that you will discover with us at Encuentros. Dancing class Learn to move your feet to the lively rhythms of salsa, meringue, and cumbia. Cooking class. Each week you can discover how to prepare a tasty Mexican dish with Marusa, our cooking teacher. 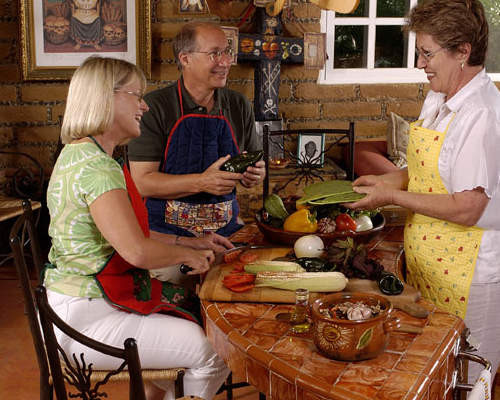 You will have fun and practice your Spanish buying the ingredients at the market, learning to prepare a typical Mexican meal, and finally enjoying the dish in the company of Marusa and her family. Ofrenda. 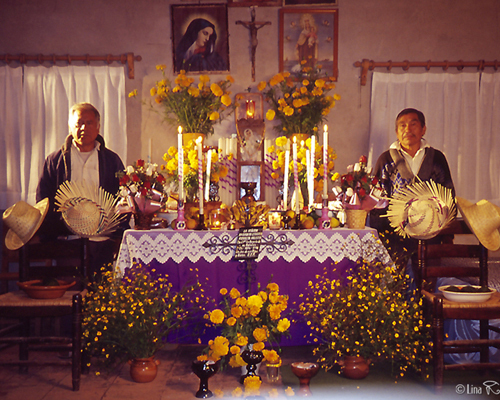 Ofendas are an essential part of the Day of the Dead celebrations, and are set up to remember and honor our ancestors. We take students to Ocotepec to see these festivities on November 1 and 2. Chinelo from the State of Morelos. 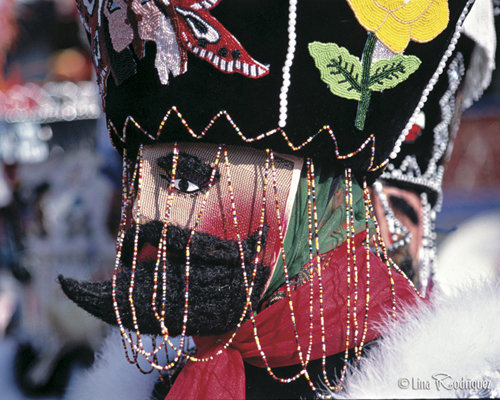 Locals from towns like Tepoztlan dress in traditional costumes and dance for hours on special holidays.